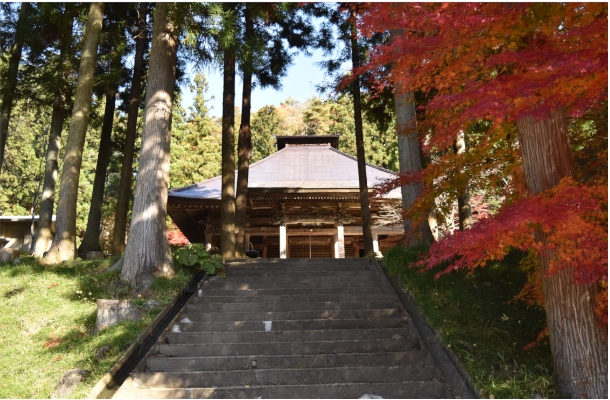 The oldest temple in Tohoku, famous for the naked Somin-sai Festival. Established 1,300 years ago, Kokusekiji is the oldest temple in the Tohoku area. Despite five past fires, local people helped protect the temple’s 19 Buddhist statues, including the wooden Bhaisajyaguru (Yakushi Nyorai) Seated statue, a national important cultural property. The facial expressions and stocky build of the statues show they are native to this land. Gazing up at these statues, you can glimpse the religious devotion that led to their creation long ago. One thing you shouldn’t miss is the iron Koma-inu statue in front of the main hall. This impressive symbol of Kokusekiji is a reminder of the rich iron casting tradition of this region. With a reservation, the resident monk Fujinami is happy to show you around the temple, even in English! Don’t forget to visit the small river down the stairs from the parking lot to cool off before your drive home. 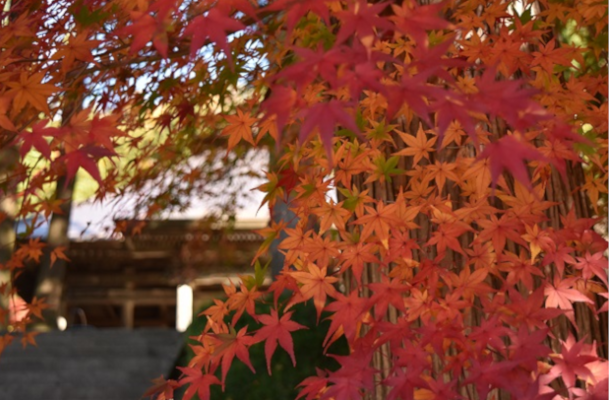 Kokusekiji Temple is especially beautiful in November, boasting a gorgeous display of colored maple leaves.